Sea dragons lurk in the waters. Wicked Stranders crawl through the burrows. 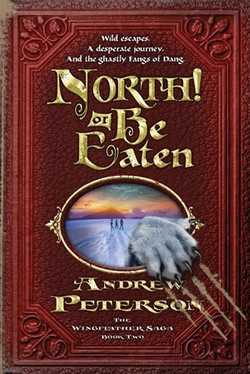 Monsters and Fangs and villains lie between the children and their only hope of victory—in the epic conclusion of The Wingfeather Saga. Join the Wingfeathers on an adventure filled with mystery, betrayal, and sneakery in a land of tasty fruits. 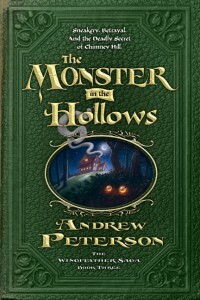 There’s a monster on the loose and the truth lurks in the shadows. 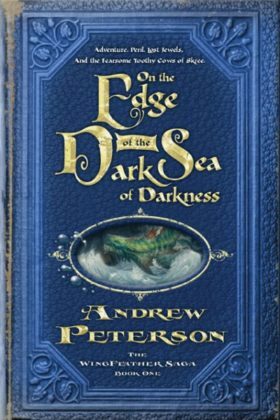 By Andrew Peterson. Janner, Tink, and Leeli Igiby thought they were normal children. But now they know they’re really the Lost Jewels of Anniera, heirs to a legendary kingdom, and suddenly everyone wants to kill them. 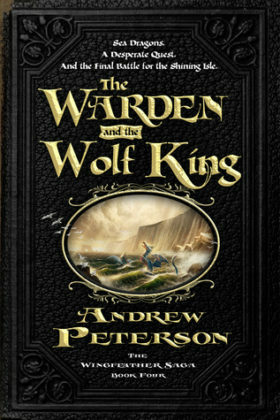 Book Two of The Wingfeather Saga fantasy series by Andrew Peterson. Three children will need all their gifts and their parents’ love to survive the evil pursuit of the venomous Fangs of Dang.